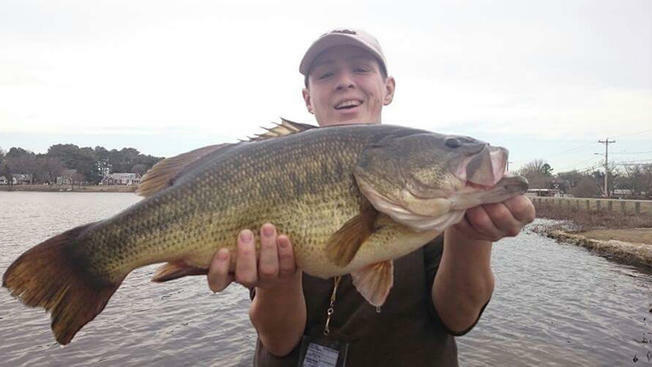 Andrew “A.J.” Klein reeled in the new Largemouth Bass state record at Wagamons Pond. The bass came in a little over 11 pounds. They were about to leave the area after catching mostly small fish, when Klein snagged the huge fish. After he reeled in the catch they released in back, possibly to be caught again by another lucky angler. The previous record was set in 2012 and was 10 pounds and 10 ounces.